The long-planned sporting and cultural event known as the World OutGames, a 10-day LGBT-themed event advertised as a spectacular gathering of athletes from around the world, unraveled Friday about 24 hours before the opening ceremonies. Organizers announced that the opening and closing ceremonies, along with nearly all of its sports events, were canceled due to financial issues. The bombshell revelation came via a short Facebook post from the event’s board of directors Friday. 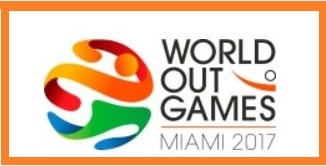 “It is with deep regret that due to financial burdens, World OutGames must cancel its sports programming and Opening and Closing Ceremony with the exception of soccer, aquatics and country western dance,” reads the text. “The Human Rights Conference and cultural programs will continue as planned. We thank everyone who has supported the effort and apologize to those who will be impacted by this difficult decision.” And with that, the high hopes for the 10-day event were dashed as athletes from around the world streamed into Miami, ready to compete only to learn the games were canceled. Some arrived before the announcement, and others found out mid-air.